Process Automation worked with a leading pump manufacturer to increase pump testing throughput and reduce manual data entry throughout their manufacturing process. Process Automation provided a custom solution to interface to the customer’s existing ERP system, automated pump test capabilities, and provide centralized data repository for reporting. A client-server architecture was implemented, with a Data Server and three different client applications: Serialization Client, Test Client and Tag Printing Client. The Data Server provides a centralized data repository using Microsoft SQL Server 2005 database management system. In addition to a data repository, the Data Sever performs report generation tasks and is responsible for interfacing with the corporate ERP system. 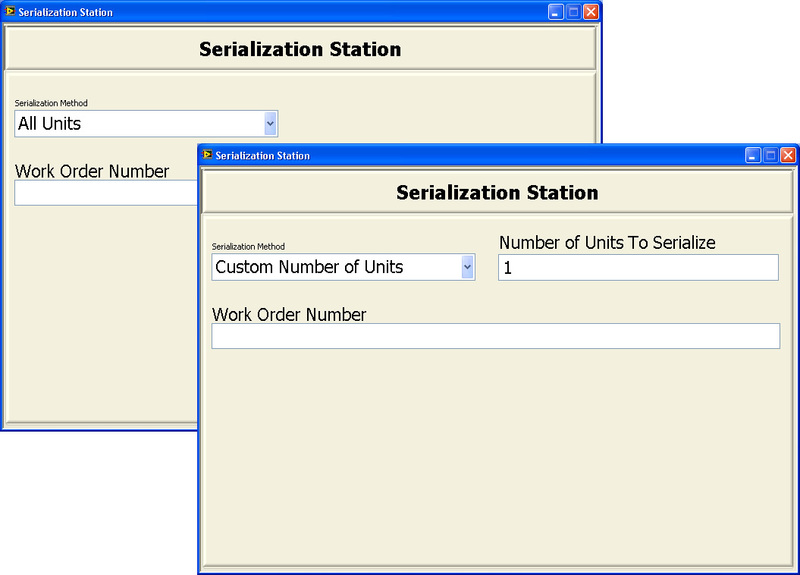 The Serialization Client provides an interface for the user to serialize units and print the barcode labels. 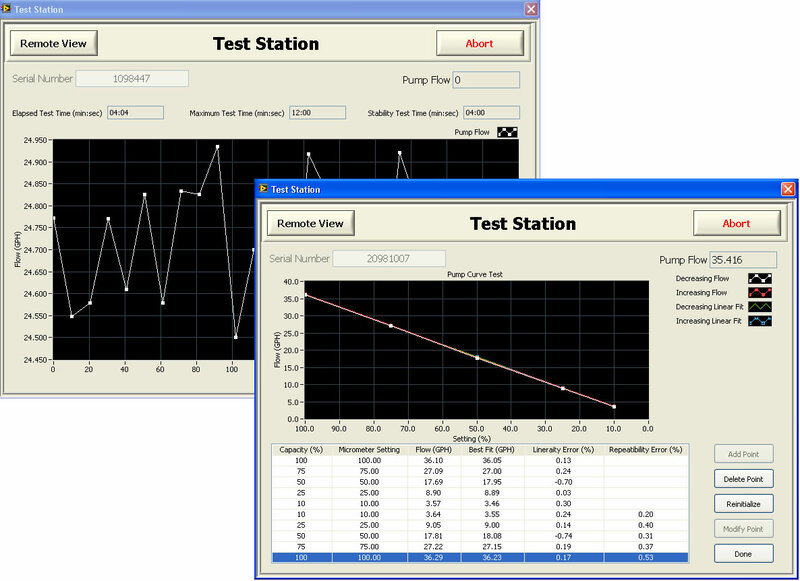 The Test Client performs pump performance tests using Micro Motion Coriolis flow meters. 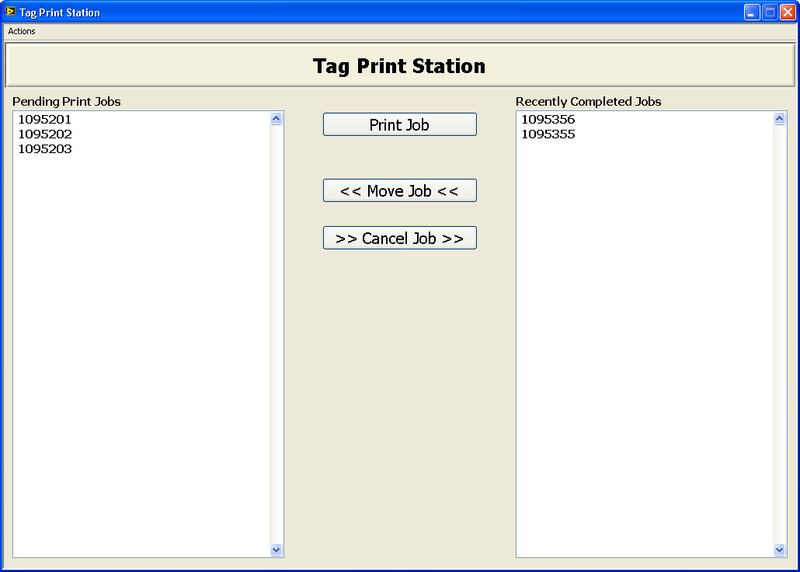 The Tag Printing Client provides an interface for generating metal tags that are affixed to the pump units for identification. Pump assembly and test throughput has been increased by reducing manual data entry and by providing multiple test stations with full testing capabilities. In addition, the system provides flexibility in allowing test clients to be added or removed from the system to accommodate production capacity requirements.